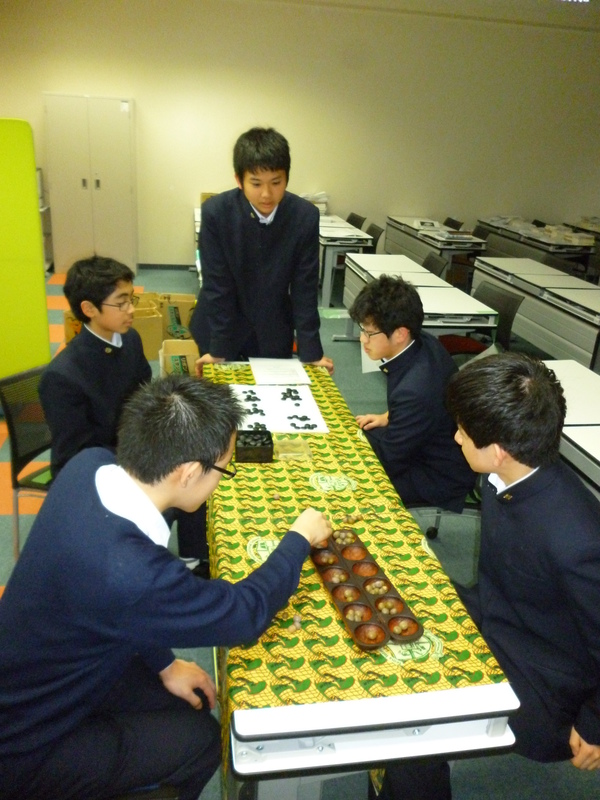 Ghana Japan Virtual Educational Exchange Program | The GJVEEP is a great platform for students of the Kogyokusha Boys School (Japan) and Tema International School (Ghana) to exchange experiences on their culture, music, weather, entertainment, school life, etc. GJVEEP aims to help students appreciate each other's cultures, clear cultural misconceptions and connect easily with each other. There is BEAUTY in diversity! We are here to find it. There is a unique style of poetry in Japan with a long tradition called WAKA. WAKA is composed of five short phrases. The Japanese express beautiful scenery and deep feelings with this poetry. “HYAKUNIN-ISSHU (100 Poems by 100 Poets)” is a collection of 100 poems representing the works of 100 famous poets. The collection was chosen by one of the most famous poets, Teika Fujiwara, about 800 years ago. Japanese people regard these beautiful poems as highly as westerners regard poems written by ancient Greek and Roman poets. 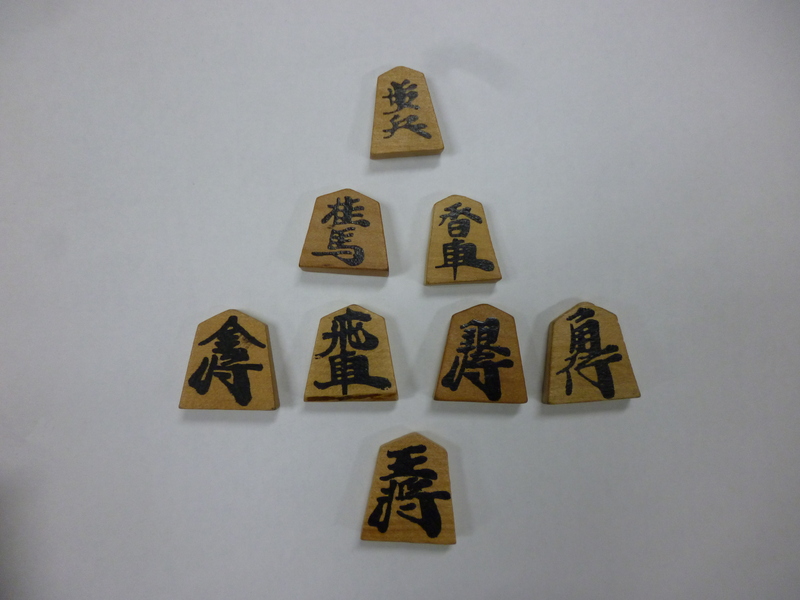 The KARUTA(the traditional Japanese playing cards) was made in the 17th century so that people can learn the HYAKUNIN-ISSHU while playing cards. 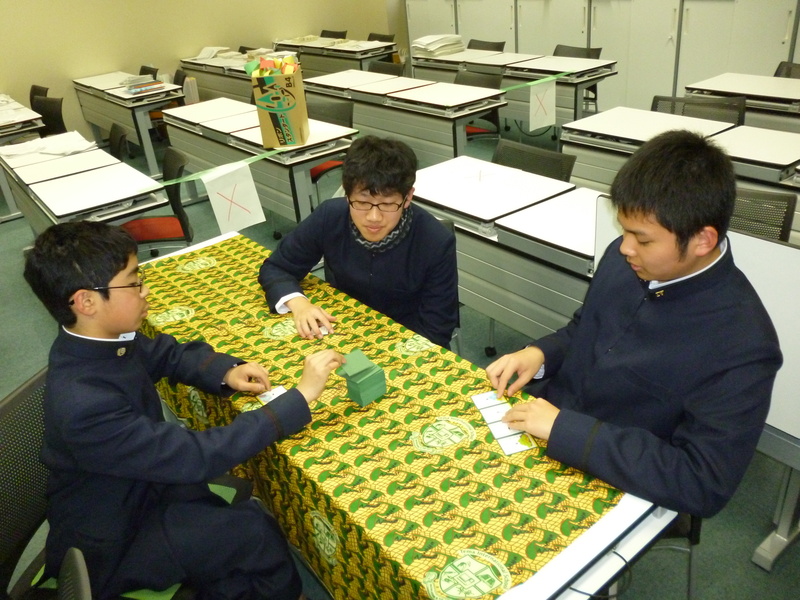 The KARUTA have 2 series of cards. One series is called EFUDA (cards of portraits), with a portrait of each poet and a representative poem printed on each. On another series of cards, called JIFUDA (cards of letters), only the latter halves of the poems of certain poets are written. 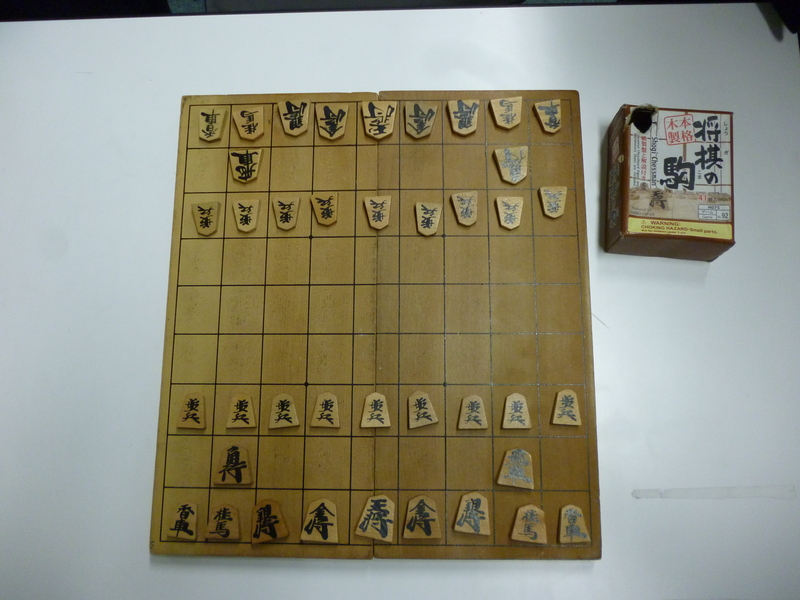 To play, 50 letters cards are chosen at random and placed between 2 players. Then a reader begins to read the poem of an EFUDA at random. 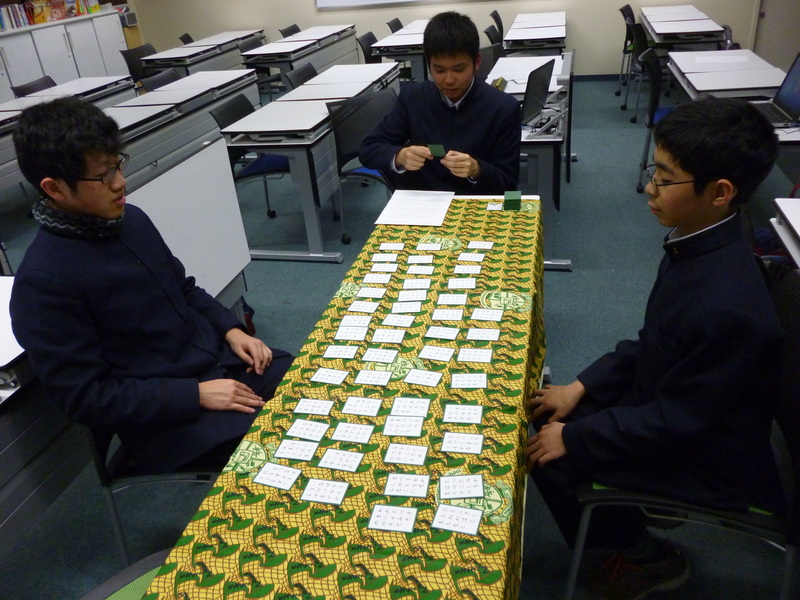 Players try looking for JIFUDA corresponding to the poem being read. Scoring occurs when a player finds one before another player does. Using all 100 cards, we can play with three or more players. The person who wins more cards becomes the winner. So, by memorizing more and more poems, the possibility of winning increases. 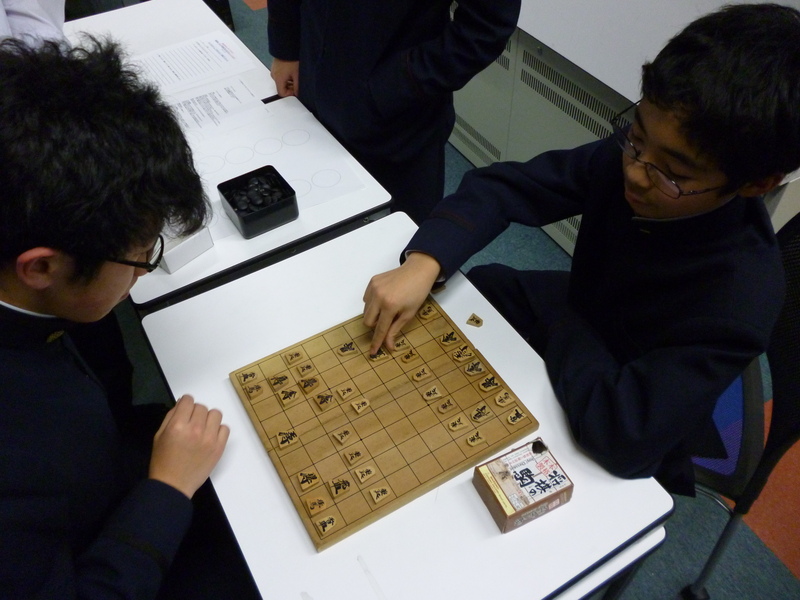 But in the past, people had another way of playing KARUTA, because they could not often read letters. The method was called “BOUZU-MEKURI”. BOUZU means a bald head and a Buddhist priest, MEKURI means turn over. This game uses only the portrait cards. Players turn down all the cards in the deck and take the top card in turns. 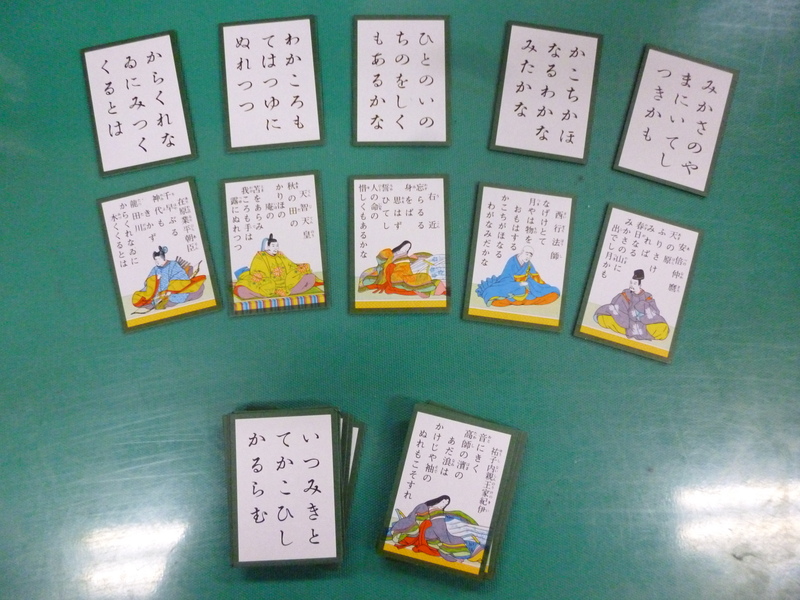 The basic rule is that, you can get a card of an ordinary man or woman poet, but lose all your cards if you take the card of the Buddhist priest. The cards you lose are turned over in the deck, and the player who has the card of woman poet acquires them next. The player having the most cards at the end wins. By the way, of the 100 cards, there are 12 the Buddhist priests cards, and 21 women poets cards. 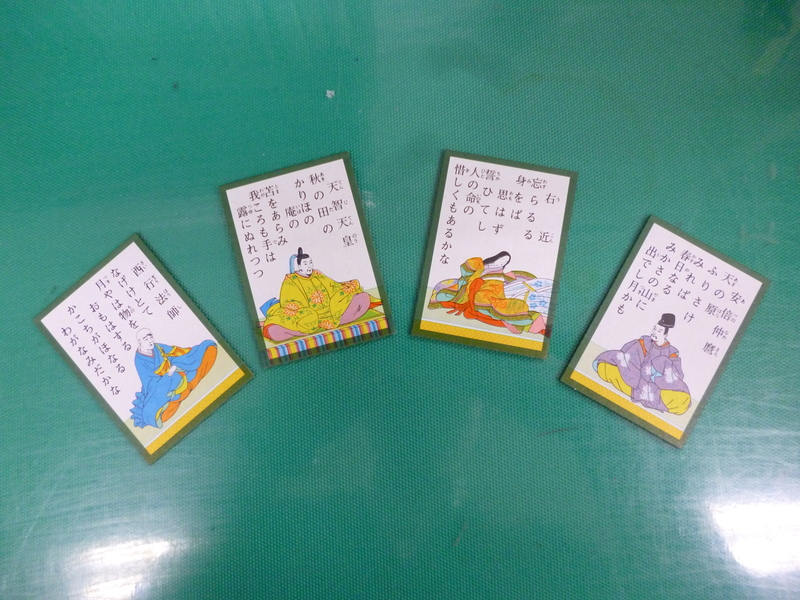 There are various opinions about why the card of the Buddhist priest is unlucky. Is there a unique card game in Ghana? 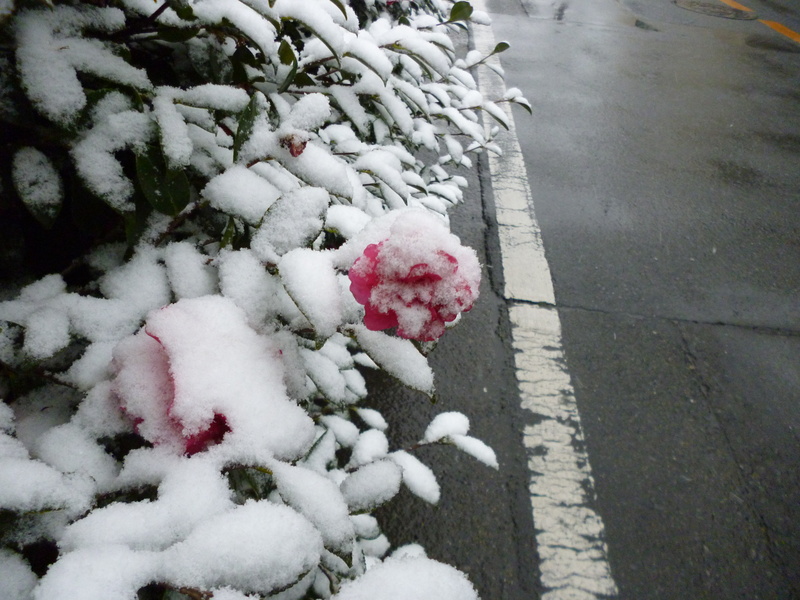 Last Saturday, we had an extraordinary heavy snowfall in Tokyo. In winter, we have a lot of snow in the northern areas and mountainous areas in Japan. But such heavy snow is very unusual. 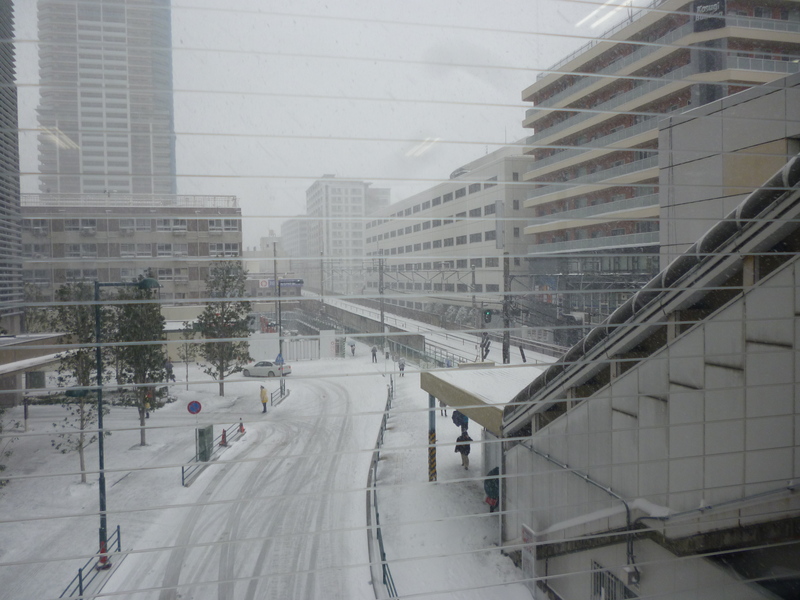 This was the heaviest snowfall in 45 years in Tokyo. 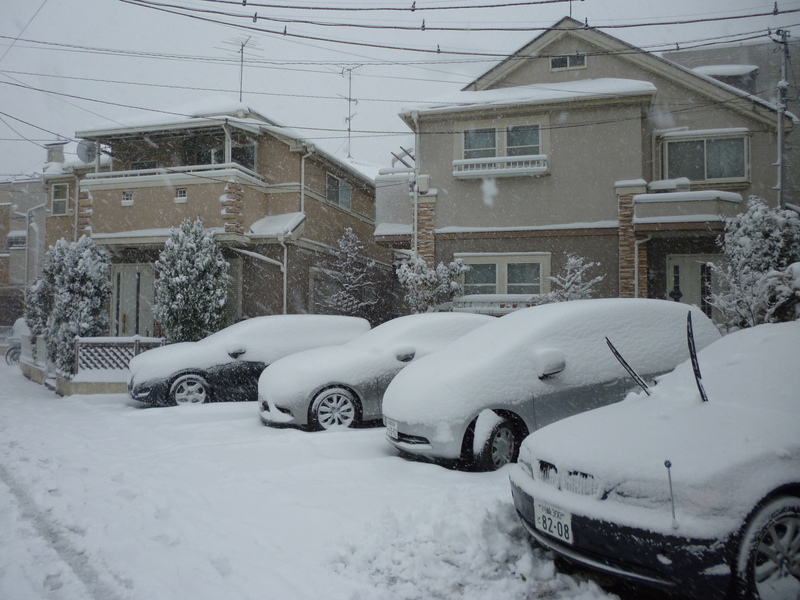 A heavy snow is unpleasant for many people, because it causes a lot of trouble for traffic and every day activities. In our school, classes were called off and students were sent home earlier than usual. 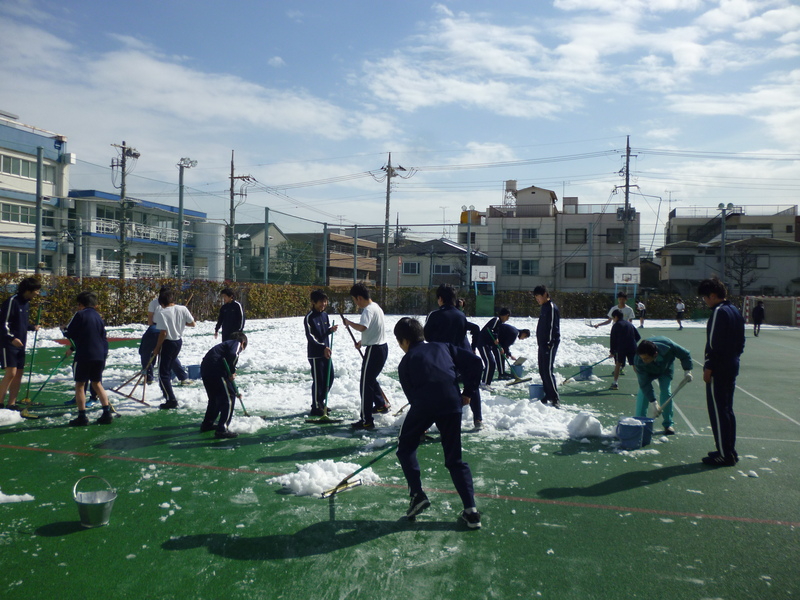 On Monday, we had to remove snow from the school yard. 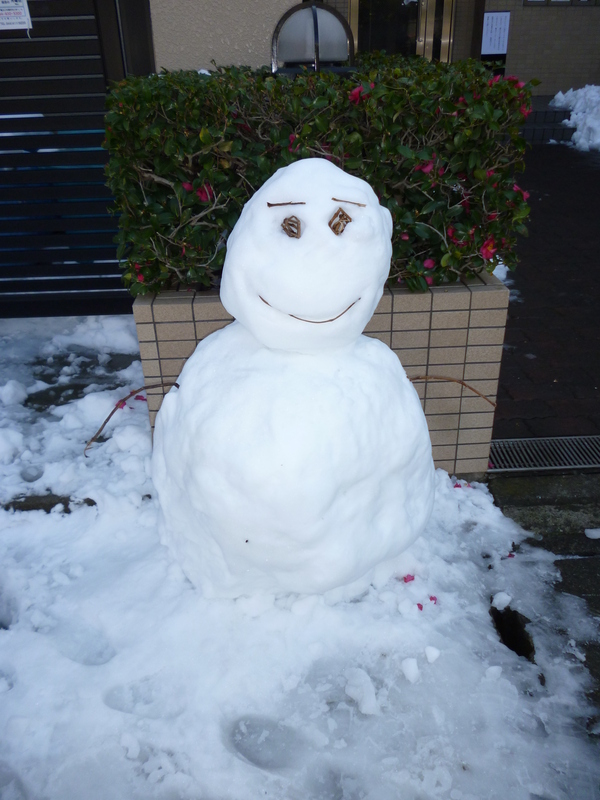 However children looked very happy having snowball fights and making ”YUKIDARUMA (Japanese snowmen)”. I heard that there were floods in Europe and a very cold wave hit the USA. I think that abnormal weather is occurring all over the world. It may be influence of global warming. How about the weather in Ghana? 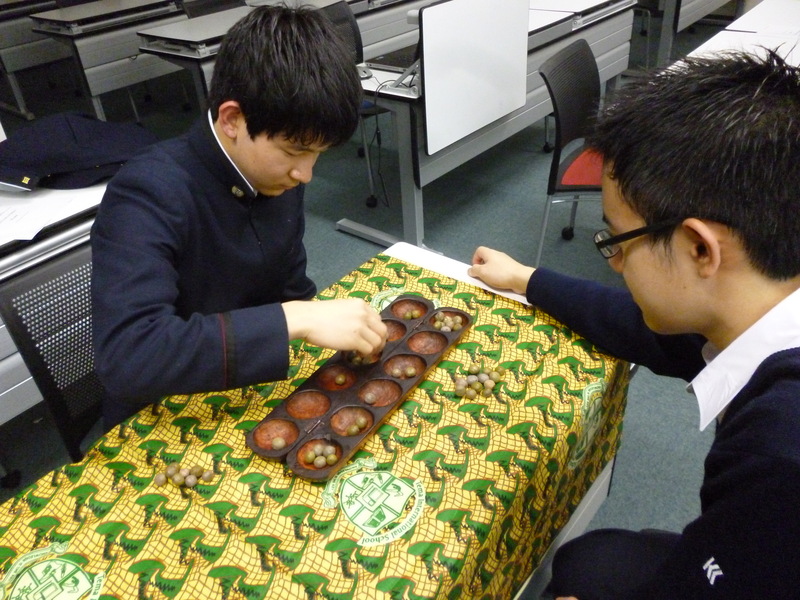 I thought that the game of Oware was very fun. Since it was my first time playing, we only played with the most simple rule.But that simpleness combined with the excietment of this game really surprised me. I’d like to play the game of Oware again with more rules added on. P.S. He was the best player. We tried to play Oware last thursday. 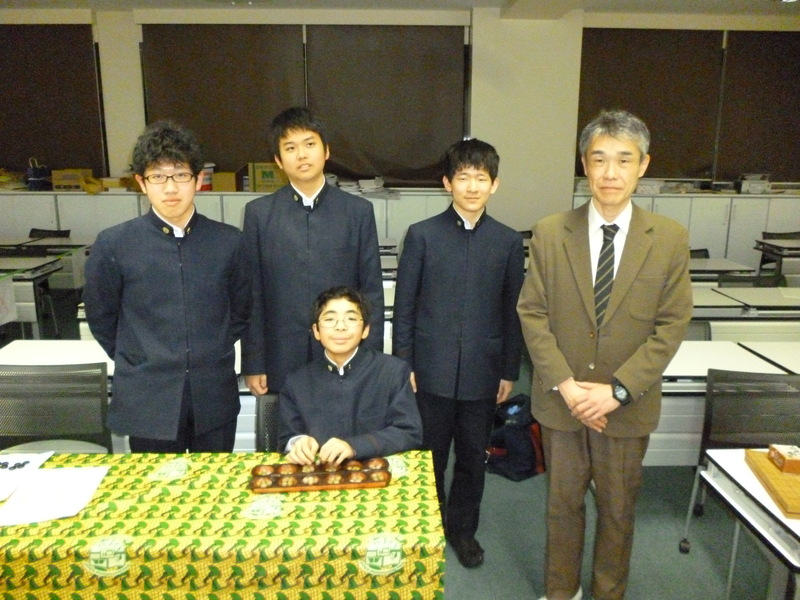 It was a very exciting experience! We will send reports by our students next week. What do children in Ghana enjoy playing? In Japan, children often play soccer, baseball, and video games. -In Ghana, soccer is the most common sport. As you may know, the Ghanaian soccer team is one of the best in the world. They are called the Black Stars. What are festivals like in Ghana? In Japan, festivals are held in each season, and stalls selling apple candy, cotton candy, french fries, shaved ice “Kakigo-ri”, fried noodle, and many more food. They are very delicious! In Summer festival, we enjoy fireworks. They are very very beautiful! -In Ghana, there are many festivals. There are many tribes in Ghana which celebrate different festivals like the Ewe’s who celebrate “Hogbetsotso”, the Ga’s who celebrate “Homowo” and the Akan’s who celebrate “Odwira” festival. I know that cacao beans are famous in Ghana. Are there any dishes using cacao beans? Japan doesn’t have cacao trees, so I don’t know much about cacao beans. Japan is famous for rice. We grow rice in many places and there are many kinds of rice. -The cocoa grown in Ghana is one of the things that makes Ghana famous, even though we also grow rice. 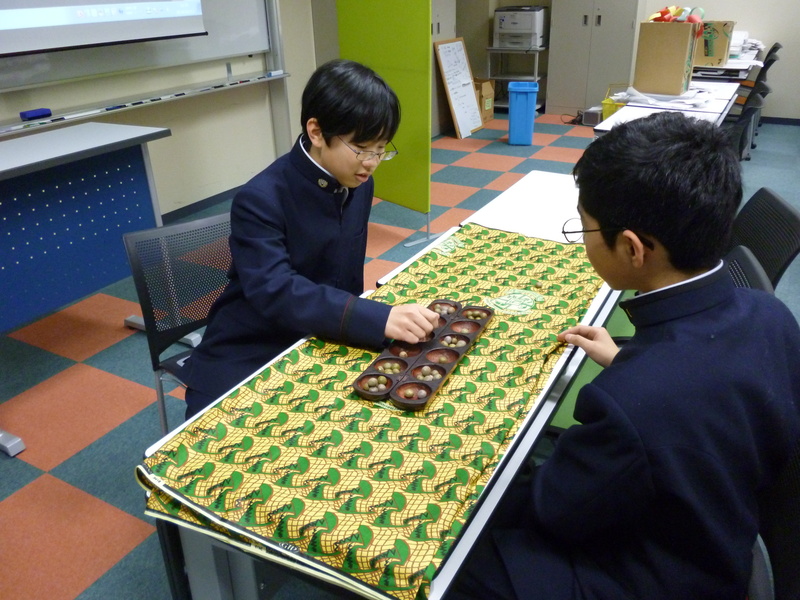 We export the cocoa to many different countries which use it to produce chocolates and other things. In Ghana, we also make chocolate drinks and chocolate spread and beverages from cocoa. Are there many students wearing glasses? In Japan, many people have weak eyes and wear glasses. For example, about 50% of the students in my class wear glasses. Some wear glasses only during the class, but most of them always wear it. -Quite a number of students in school were glasses but they are not up to 50% of the school. maybe about 25% or 30%. What image do you have about Japan? 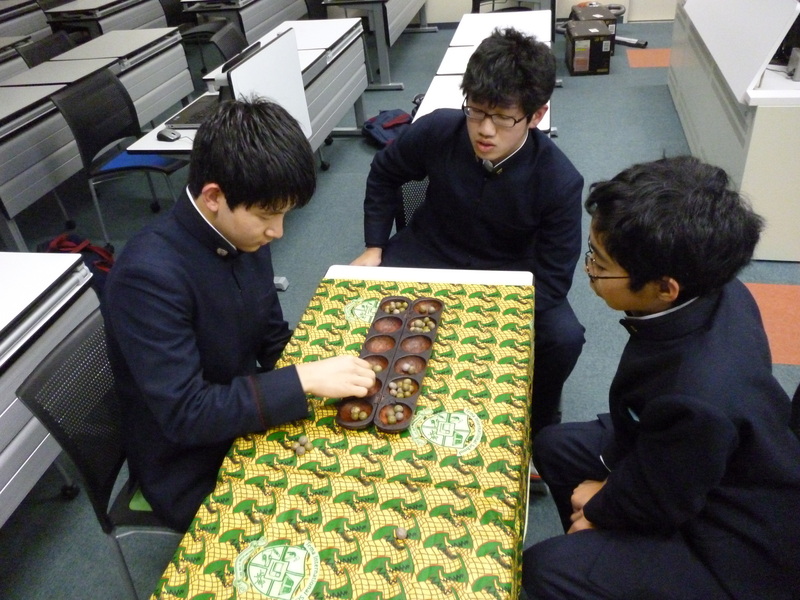 My image of Ghana is that people plant cacao beans to make chocolate, because we have a chocolate named “Ghana Chocolate” in Japan. Also, we imagine beautiful views and wild animals in the nature. 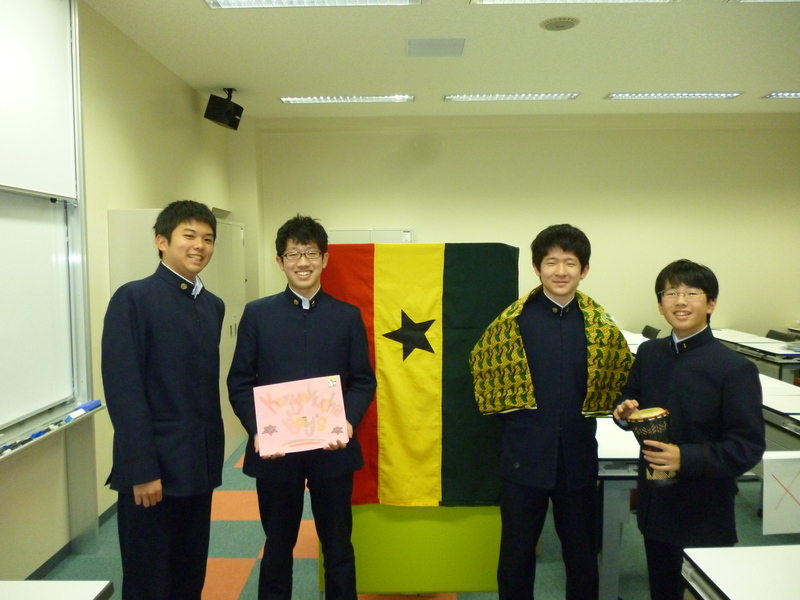 -In our school we have the Japanese flag lifted high right next to the Ghana flag to represent the unique relationship between Ghana and Japan.